“Our revolutionary forces are combat-ready to sink a US nuclear powered aircraft carrier with a single strike,” according to Rodong Sinmun, the official newspaper of the North’s ruling Workers’ Party, as cited by Reuters. 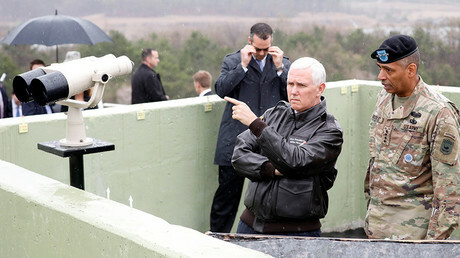 The aircraft carrier group should arrive in waters along the Korean Peninsula “within days,” US Vice President Mike Pence said on Saturday, without giving any specific details. Tensions between North Korea and the US have been growing exponentially over the past few weeks, as the US has repeatedly pressed Pyongyang to abandon its nuclear and missile programs. 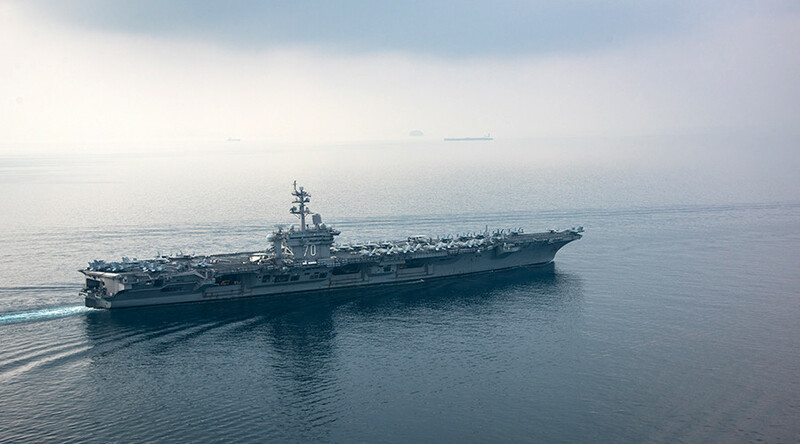 President Donald Trump sent the USS Carl Vinson to the Korean Peninsula as part of a “very powerful armada” in order to intimidate Pyongyang, which has continued to test new ballistic missiles, despite all warnings. Pyongyang has repeatedly urged Washington to snap out of its “military hysteria” and come to its “senses” – or face a merciless response, if “provocations” against North Korea continue. “The closer large targets, such as the nuclear carrier, come to our shores, the more effective will be our devastating strike,” North Korea’s Defense Ministry said, according to various media reports. 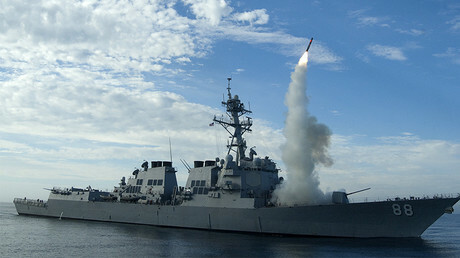 However, the US Defense Secretary dismissed Pyongyang’s statements as provocative, but hollow. “We’ve all come to hear their words repeatedly; their word has not proven honest,” Mattis said Friday. Russia warned both sides not to take military action. While “Pyongyang’s risky nuclear and missile endeavors” violate UNSC resolutions, they could be used as an excuse to violate international law and the UN Charter “in the same fashion” as in Syria, Russian Foreign Minister Sergey Lavrov said on Monday.